A classic piece of clothing that never goes out of style. When it comes to wardrobe staples, it doesn’t get much cooler than the leather jacket. Sure, everyone has one, but let’s be honest, there’s always room in your wardrobe for another. If you’re going to make an investment this year, invest in one of these life-long wardrobe heroes. 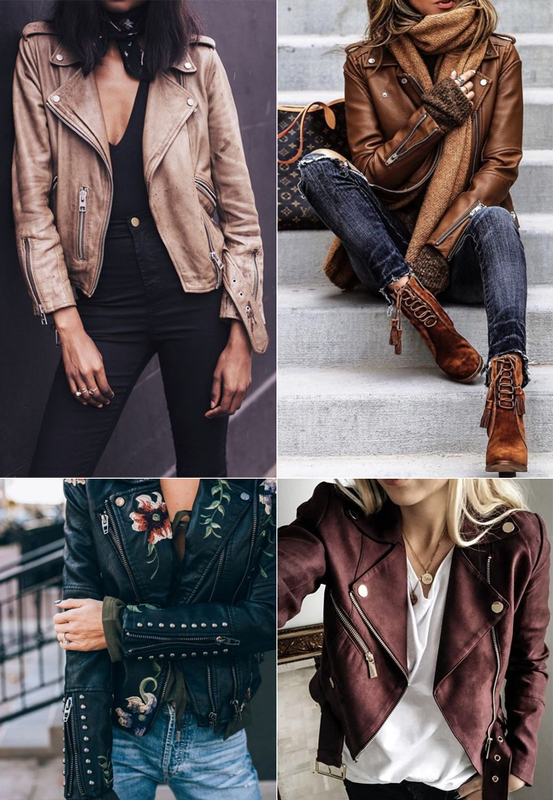 You can never go wrong with a classic moto jacket. Pair it with a white tee and jeans, or even a floral dress, the possibilities are endless. Leather is great for layering, but during the cold months of winter, a good leather shearling is not only essential for your warmth, but also your image. Go for a bold red, it’s falls hottest color. From florals to stars to political statements, it’s fun to express yourself. We can all use a little extra edge, so why not add some metal to your leather. 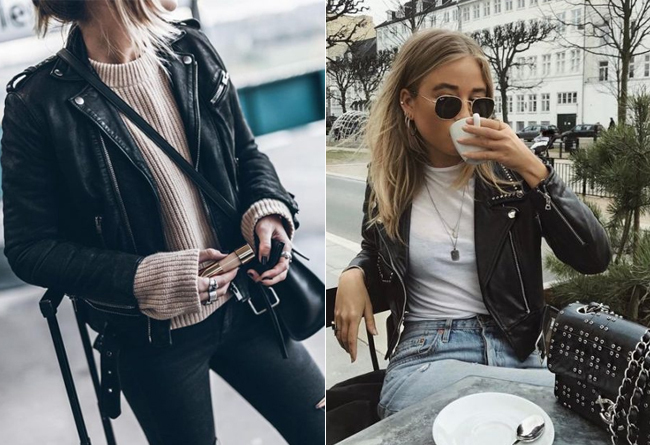 Whether it’s a biker, bomber or oversized in shape, a leather jacket is always on trend. Rev up your look below, with the best buys of the season.